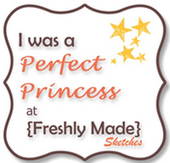 We have a great sketch challenge today at Create with Connie and Mary! I chose the pretty Wonderful Wreath stamp (Holiday Catalog) for my version of this sketch. I've really been enjoying the color schemes from the Winter Frost Specialty DSP this year... all the aqua colors from Pool Party to Bermuda Bay in various combinations are so icy and luscious! The two colors used here are Bermuda Bay and Coastal Cabana as well as two prints from the Winter Frost package: a snowflake design and a shiny silver and Coastal Cabana print. I diecut the Silver Foil paper with a Finishing Touches Edgelit to border the top and bottom of the snowflake dsp. The Wonderful Wreath was stamped with Bermuda Bay then heat embossed with Clear Embossing Powder and "fussy cut" by hand. 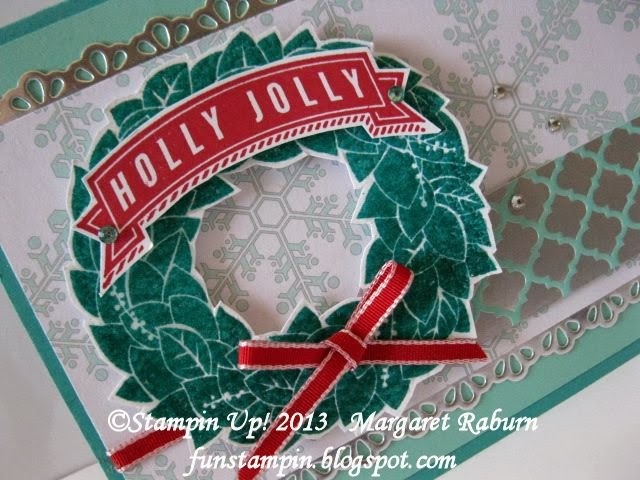 The Holly Jolly banner (from the A Banner Christmas set) was stamped in Real Red and also hand cut. A banner of the lattice print silver foil paper from the Winter Frost DSP, Real Red ribbon and Rhinestones finish the card. 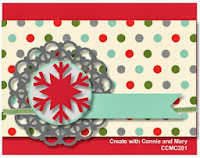 Here is the sketch from Create with Connie and Mary for this week, CCMC 281. 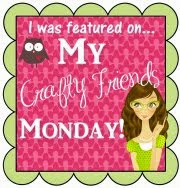 It's fun and can be used for any occasion, not just Christmas! I hope you have a little time to try this sketch during this busy season! 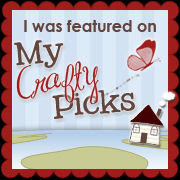 When you do, be sure to share it with us by uploading it to Create with Connie and Mary's website so we can see your creation! Thanks for visiting today! I hope you enjoyed my card! Stay warm and safe! WOW! 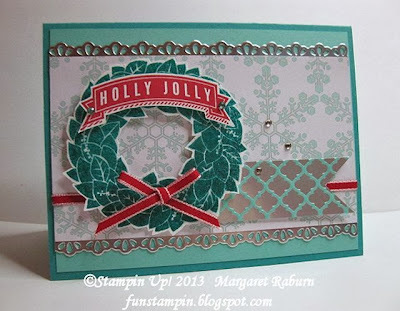 Love that die cut foil paper! And this image is perfect for this sketch! So many great details on this! Gorgeous card! I am loving the die cut foil too. Looks great with the DSP. So much to love here...the foil paper, the "holly jolly" banner on the wreath, the little bow and the rhinestones. Very pretty card! I absolutely love how you've used the designer papers with the wreath.......and that pop of red is so striking!!!!!!! Great way to add the beautiful banner to your wreath Margaret!